The report from the CMS actually shows that the number of enrolled carriers is projected to drop significantly going into 2018. ObamaCare has actually been squashing choice and competition so this is only going to make things much worse. The CMS asked carriers if they intended to remain in the exchanges for plan year 2018. The number dropped from 217 for PY 2017 to 142 for PY 2018, a decline of 38 percent. This is a continued trend as the number dropped from 281 for PY 2016, which is a decline of 19 percent. However, the decline for 2018 is much steeper at double the rate. As has been noted by Secretary Tom Price, the new number is only slightly above half of the number of carriers who had initially joined. He stated in a press release, “Americans are continuing to lose what health coverage they have and are forced to choose from fewer options or pay the IRS for the right to go without. This further limits their access to the doctors and healthcare services they need.” Unsurprisingly, 12 percent of the country is still uninsured, according to Gallup. Unsurprisingly, competition and coverage options have significantly declined under ObamaCare. At the moment, 1,000 counties, including five whole states, only have one insurer while others have no insurers at all. It was also projected in 2016 that this year nearly a third of Americans would only have one option for health insurance under ObamaCare. If more carriers drop out of the exchanges, as they are supposed to, then a lot of people are going to end up stuck in lackluster plans. 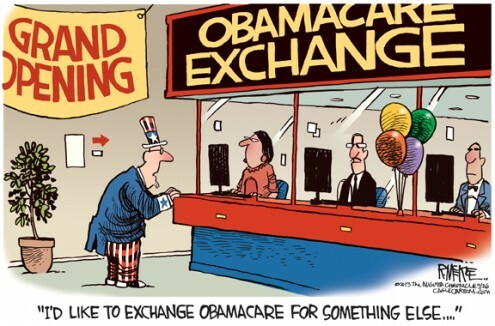 ObamaCare has consistently failed to meet its goals and is now seeing more and more insurers leaving the exchanges. The program was supposed to expand coverage and it has instead reduced competition. In the long run, the program is hurting the healthcare market and will only continue to do so. If more variety and expanded coverage is a goal, then the program needs to be removed and far better reform is necessary.